This month’s catastrophic California wildfires garnered significant media coverage, with major national news programs on ABC, CBS, and NBC airing more than 100 segments about the unfolding disasters. But Media Matters found that just 3.7 percent of those segments mentioned the link between climate change and worsening wildfires. That's a minuscule improvement over their coverage of Western wildfires this summer, when the networks incorporated climate change into less than 2 percent of their segments. 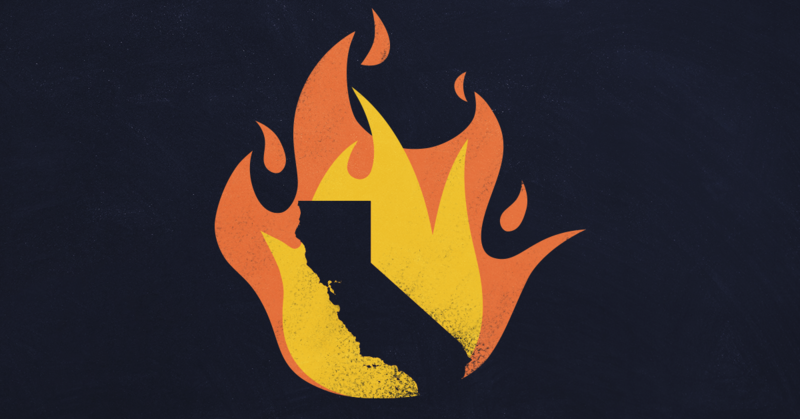 On the local level, TV news programs on California stations included discussion of climate change in numerous segments about the ongoing wildfires. News shows on major TV network affiliates in the state’s three largest media markets aired 44 episodes that addressed how climate change exacerbates wildfires. The three national broadcast TV networks -- ABC, CBS, and NBC -- aired 107 segments about the California wildfires on their major morning and evening news programs from November 8 to 13. Only four of these, or 3.7 percent, included discussion of climate change. NBC aired two of the segments that mentioned climate change, while ABC and CBS aired one each. CBS’ climate change mention came on the November 11 episode of CBS This Morning, during a segment by WCBS New York weather anchor Lonnie Quinn. He said researchers believe that “both forest management and the changing climate play a role” in worsening wildfires. “California’s temperatures have increased 2 to even 3 degrees over the last century," he explained. "Making matters worse, there was a five-year drought from 2011 to 2016. That drought killed more than 129 million trees. That's just fuel for the current fires that are out there." Even this fleeting mention of climate change is a slight improvement for ABC, which rarely brings up climate change at all in its coverage of extreme weather. During this past summer's dramatic wildfire season, ABC's coverage didn't mention climate change a single time, and the network made no mention of climate change earlier this year in its coverage of both a deadly heat wave and Hurricane Florence. CBS and NBC also did poorly when it came to incorporating climate change into their reporting on this summer’s wildfires in the Western U.S., even though they didn't completely strike out like ABC. From June 21 to September 21, the main morning and evening news programs on ABC, CBS, and NBC aired a combined 471 segments discussing the wildfires, and only nine of them, or 1.9 percent, mentioned climate change -- six on CBS and three on NBC. 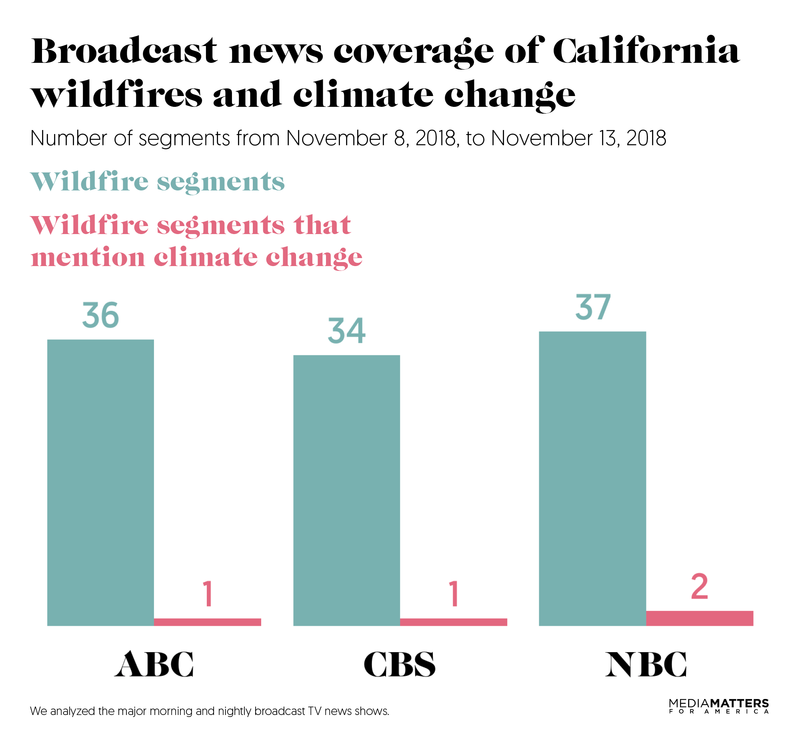 Media Matters also analyzed news coverage of the wildfires on local affiliates of ABC, CBS, NBC, and Fox in the three largest California media markets: Los Angeles, San Francisco-San Jose-Oakland, and Sacramento-Stockton-Modesto. From November 8 to 13, we found 44 news show episodes that mentioned climate change in relation to the wildfires -- 16 in Los Angeles, and 14 each in the Sacramento and San Francisco areas. Over half of these episodes featured a clip of California Gov. Jerry Brown blaming climate change for the destructiveness of the wildfires during a November 11 press conference. Both of these segments would have been better if they had informed viewers of what scientists and other experts actually say: Climate change is a significant contributor, and, in the case of the current fires, forest management is not. Still, it's notable that many local news stations made a point of discussing climate change in the context of the fires. Local stations have a greater responsibility than national ones to report on the immediate dangers that wildfires pose to their community members, including evacuation orders and specific details about how fires spread. And yet this month in California, many local programs still found time to report on how climate change worsens wildfires. There's no excuse for national networks not to do the same. Media Matters searched Nexis and iQ Media for broadcast network TV news segments that covered wildfires using the search terms wildfire(s), forest fire(s), or fire(s), and then we searched within those segments for mentions of climate change or global warming. Our analysis covered morning news shows (ABC's Good Morning America, CBS This Morning, and NBC's Today) and nightly news shows (ABC World News Tonight, CBS Evening News, and NBC Nightly News) from November 8-13. For local California coverage, we searched IQ Media for news shows between 4 a.m. and midnight on affiliates of ABC, CBS, NBC, and Fox in the media markets of Los Angeles, San Francisco-San Jose-Oakland, and Sacramento-Stockton-Modesto. As wildfires raged in the Western U.S. this summer, the major broadcast TV networks largely failed to explain how climate change influences such fires, mentioning climate change in less than 2 percent of their reports on the fires. Media Matters analysis of coverage on the networks’ morning and evening news shows found that ABC made no mention at all of climate change during its 172 segments reporting on wildfires, while CBS brought up climate change in only six of its 183 segments that mentioned wildfires, and NBC discussed climate change in only three of its 116 wildfire segments. Wildfires have ravaged huge swaths of the Western U.S. this year. According to the National Interagency Fire Center, fires had burned over 7.7 million acres of land as of September 28 -- nearly 1.8 million acres more than the 10-year year-to-date average from 2008-2017. The most destructive wildfires blazed in California, and they were some of the worst on record. The Ranch Fire, part of the massive Mendocino Complex, in August became the largest single fire in California history, while the Carr Fire was one of the deadliest, killing seven people. Five of the 10 most destructive fires in the state’s history happened in just the last three years. The 2018 wildfire season is still ongoing, with blazes active in 12 states. Destructive wildfires have not been limited to the U.S. -- they also burned through parts of Europe this summer. In Greece, nearly 100 people were killed by wildfires outside of Athens. In Sweden, scorching temperatures contributed to over 50 fires, including some inside the Arctic Circle, and forced evacuations. As of late July, the number of European fires in 2018 was up 40 percent on average. What we’re seeing over the last few years in terms of the wildfire season in California … [is] very consistent with the historical trends in terms of increasing temperatures, increasing dryness, and increasing wildfire risk. They’re also very consistent with what we can expect in the future as global warming continues. California’s recent Climate Change Assessment estimated that the average acreage burned across the state annually will rise by 77 percent by the end of the century. Some firefighters, including the director of California's firefighting department, have also pointed to climate change as a factor making the blazes worse. The broadcast networks devoted a lot of coverage to wildfires this summer, but very little of it discussed climate change. 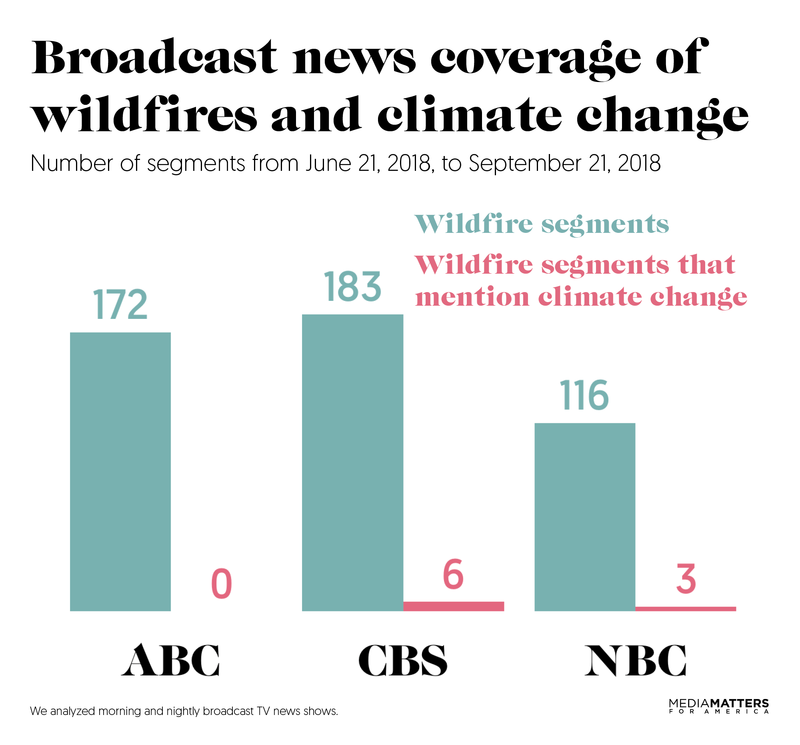 A Media Matters analysis of the ABC, CBS, and NBC morning and evening news shows over the summer, from June 21 to September 21, showed that out of 471 segments discussing the wildfires, only nine of them, or 1.9 percent, mentioned climate change. ABC completely ignored climate change during its wildfire coverage. ABC aired a total of 172 segments that discussed wildfires on its morning and evening news shows this summer, including 89 news reports or in-depth segments, 57 weather reports, and 26 news headline rundowns -- and not one of them mentioned climate change. That makes ABC the worst-performing network at incorporating climate change into its reporting on the fires, which is in line with the network's recent history. In June, ABC was the only major broadcast network to make no mention of climate change in relation to the deadly heat wave that affected much of the U.S. And in August, ABC was the only major network that did not mention climate change during its coverage of Hurricane Florence, just as it failed to mention climate change during coverage of Hurricane Harvey last year. CBS and NBC mentioned climate change in roughly 3 percent of their segments on wildfires. CBS' morning and evening news shows aired a total of 183 segments reporting on wildfires, including 84 news reports or in-depth segments, 14 weather reports, and 85 news headline rundowns. Only six of the 183, or 3.3 percent, mentioned climate change. NBC ran a total of 116 wildfire segments, of which 73 were news reports or in-depth segments, 22 were weather reports, and 21 were news headline rundowns. Only three of the 116, or 2.6 percent, included discussion of climate change. Sunday shows on the major broadcast networks made no mention of the wildfires. Thirty-eight combined episodes of ABC's This Week, CBS' Face the Nation, and NBC's Meet the Press aired from June 21 to September 21, and not one of them mentioned the wildfires, let alone the ways that climate change influences such fires. This is sadly consistent with the Sunday shows' lack of coverage of past disasters exacerbated by climate change. Last year, the weekend after Hurricane Maria made landfall and knocked out power to 3.5 million Americans, the five major Sunday political talk shows dedicated less than one minute to coverage of the storm and its effects. Networks' climate change mentions in wildfire coverage almost all occurred in August, more than a month after their summer coverage of wildfires began in earnest. CBS aired its first wildfire segment of the summer on June 24, but it didn't mention climate change in such a segment until August 1 -- over one month later. NBC ran its first summer wildfire segment on June 25, but didn't incorporate climate change into any such segments until July 28. By that point, the Carr Fire had already killed five people, and by August 1, 16 of the largest wildfires in California were burning an area larger than Los Angeles. CBS' first mentions of climate change in the context of wildfires were brief and not particularly informative. The August 1 episodes of CBS This Morning and CBS Evening News featured Mendocino County Sheriff Tom Allman saying, “I don't care where you stand on your opinion of global warming. There's something changing, and we're seeing fires that have never happened in this area before.” Mendocino County was the site of the massive Mendocino Complex fire, which was not fully contained until September 18. CBS' other mentions of climate change in wildfire segments came during the August 7 episode of CBS This Morning. Reporter John Blackstone noted President Donald Trump’s inaccurate claim that wildfires were worsened by California’s water policy, and contrasted it with the view from the California Department of Forestry and Fire Protection that “the true problem is climate change.” Later on in the episode, anchor Gayle King pointed out that 15 of the 20 largest fires in California have happened since 2000, and noted, "State fire officials say that is a direct result of climate change." Newspapers did better than corporate broadcasters at connecting wildfires to climate change, but they still fell short, Public Citizen found. A recent report by the nonprofit group Public Citizen analyzed both newspaper and TV coverage of the wildfires during 15 days this summer, from July 23 to August 7. It found that less than 13 percent of wildfire articles in the 50 highest-circulation U.S. newspapers mentioned climate change. 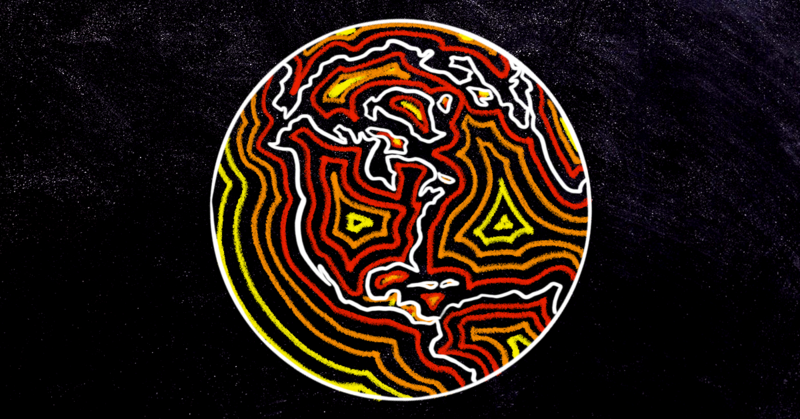 The New York Times, The Sacramento Bee, and the Los Angeles Times published the most articles connecting climate change and the wildfires. A recent poll points to the need for more and better media coverage of climate change. A survey conducted by Quinnipiac University in mid-August found that a slim majority of American voters believed climate change was worsening the California wildfires. But that means almost half of voters didn't understand the connection -- including 71 percent of Republicans. The media can help fill that knowledge gap. Much has already been said this year about the need for journalists to report on how climate change influences extreme weather events like wildfires. But we also need outlets to discuss responses and solutions to the climate crisis, so that Americans understand the need to mobilize as a society to fight climate change and shift quickly to clean energy. Media Matters searched Nexis and iQ Media for broadcast network TV news segments that covered wildfires using the search terms wildfire(s) or fire(s), and then we searched within those segments for mentions of climate change or global warming or greenhouse gas(es). Our analysis covered morning news shows (ABC's Good Morning America, CBS This Morning, and NBC's Today), nightly news shows (ABC World News Tonight, CBS Evening News, and NBC Nightly News, plus weekday episodes of PBS NewsHour), and Sunday morning shows (ABC’s This Week, CBS’ Face the Nation, and NBC’s Meet the Press) from June 21 through September 21. News headline rundowns included mentions of the wildfires within announcements of top stories of the day. Weather reports included mentions of the wildfires within a meteorologist’s report or a general discussion of weather. We did not count teasers or rebroadcasts.